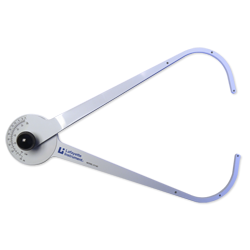 The Lafayette Abdominal Caliper aids the measurement of sagittal abdominal diameter. The Large Bone Calipers are sliding anthropometric calipers used to measure a straight-line distance between two landmarks. 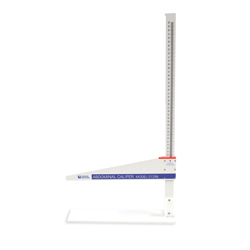 The Small Bone Calipers are sliding anthropometric calipers used to measure a straight-line distance between two landmarks. 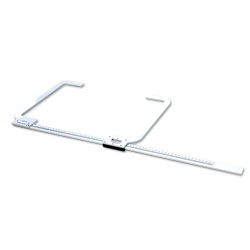 Our Small Bone Caliper has a range of 0 to 30 cm in 0.1 cm increments. 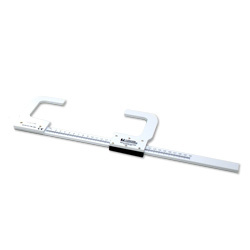 The Model 01140 Chest Depth Caliper accurately measures chest depth in inches or centimeters.